Jennifer Gumbel is originally from Sioux Falls, South Dakota. 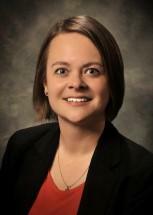 Jennifer serves clients in the areas of estate planning and probate. She takes a special interest in guiding clients in addressing issues arising when their loved ones pass away and helping them prevent issues from arising in their own estate, especially for farming families locally and international families globally. Jennifer is a frequent presenter and blogger on the topic, with a passion to inform people on the process of managing and distributing property after a death and how to best organize their affairs to make the process as smooth as possible for their loved ones. She also assists clients in their real estate and business needs, particularly in conjunction with organizing their affairs.